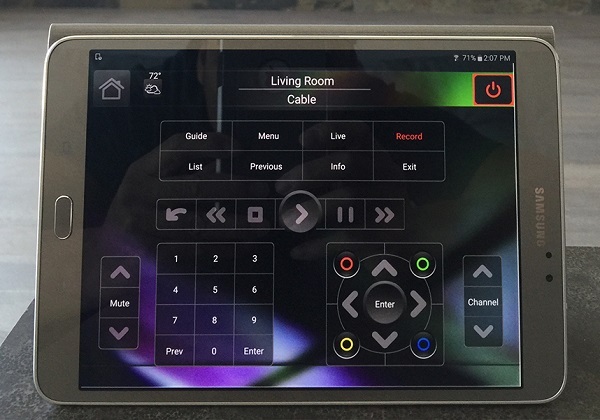 Are you interested in home automation technologies, and looking for some ideas? There are quite a few options for a home automation system nowadays, which means that you definitely have choices when it comes to automating your home. Home automation systems are becoming increasingly popular amongst those who live very busy lives. They allow homeowners to control certain items in their home using programmable devices, giving them the control they want and need within their home network. Are you ready to learn more about your home automation options? The following is a list of three of the most popular home automation technologies people are choosing to use today. All of them allow for living spaces that respond to a homeowner's needs, making their home one that is truly personalized. A home theatre offers homeowners a fantastic home entertainment experience and involves special video and audio equipment being hooked up to a television in order to reproduce the overall experience of being in a movie theatre. Professional home theatre installation is recommended for ideal results. Automated home lighting is a lighting control system that allows homeowners to easily change the lighting options in their home, i.e. light levels and styles. Professional automated lighting control installation is recommended for optimal results. Electric shades are also known as motorized blinds. All a homeowner needs to do when wanting to open or control their curtains or blinds is to press a button. Professional electric shade installation is always recommended for best results. Additional home automation technology systems that homeowners are looking into include home security systems, thermostat control, appliance control and general home surveillance. Even though many people are tempted to install the home automation technology they have chosen to add to their home themselves, it is always recommended to hire professional automation installers. Home automation installers are specifically trained to install a variety of automation technologies into one’s home, which means that they have the skills necessary to do the job right. This is especially important for automation technologies that need to be hooked up to a home’s electrical system. Which home automation technology do you want? Have you decided on which one of the many home automation technologies you want for your home? Or are you interested in adding more than one home automation technology to your home? This truly is an exciting time for homeowners as there are so many home automation technologies that make living life that much easier and therefore that much more enjoyable. If you are ready for the professional home automation installation that ensures all of your technologies will work exactly as they are supposed to, then we invite you to call us now so we can set up an initial consultation appointment for you with our home automation installers. Request an appointment here: https://soundwaveaudiovideo.com or call Soundwave Audio and Video at (714) 553-2779 for an appointment in our Yorba Linda office.